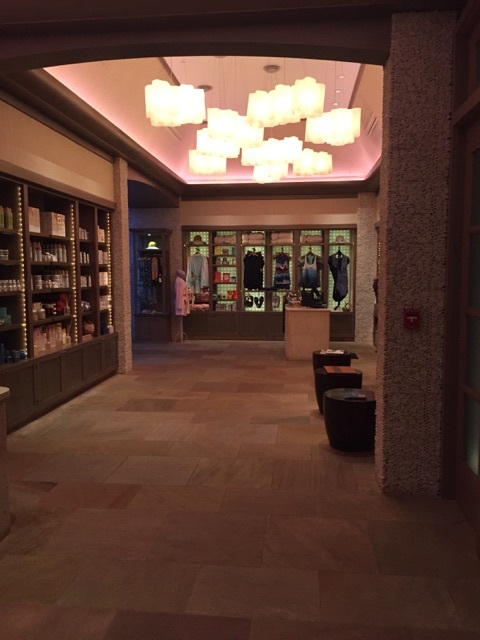 What Hawaiian vacation wouldn’t be complete without a relaxing massage and a trip to the spa? Whether it’s a break from working hard all year round or simply getting adult time away from the kids, everyone deserves to pamper themselves and rejuvenate from the trials of life. 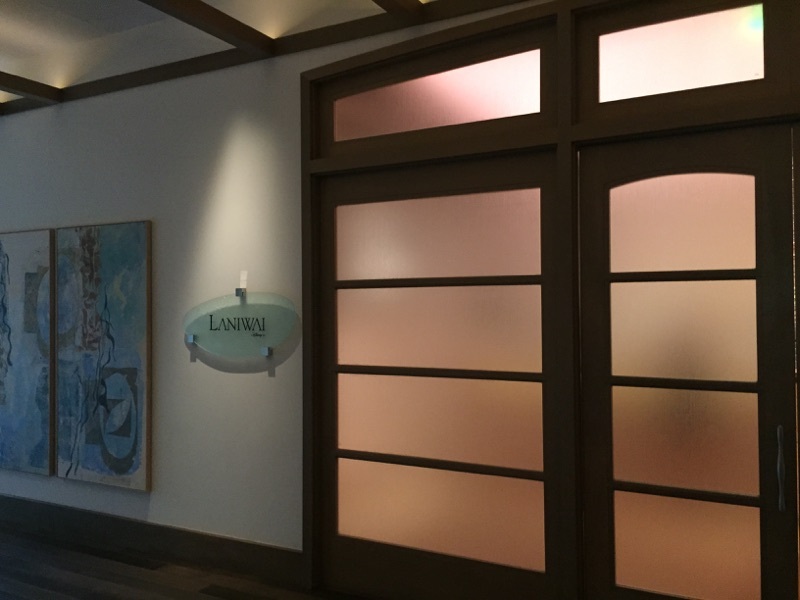 There is no better place to get re-centered and balanced than at Disney’s Laniwai Spa. 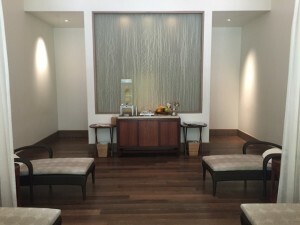 Laniwai offers over 150 spa therapies, including a variety of different massages, facials, and a number of unique relaxing treatments. As a dentist, I experience frequent back pain, therefore I always try to take the opportunity whenever I can to get a nice massage to relieve the tension that strains my back. 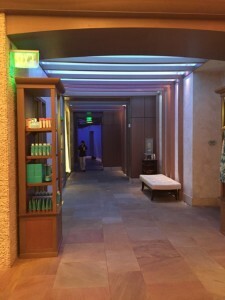 The first thing I do at every resort vacation destination is book a massage at their spa. Therefore, I am constantly comparing and critiquing the different spas I go to around the world. 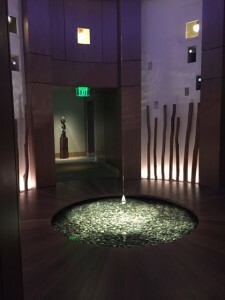 On my visit to Laniwai Spa, I booked a 50-minute Deep Tissue Lomilomi. The Lomilomi is described as a traditional Hawaiian massage that promotes healing. This hands-on massage uses gentle, rhythmic pressure to relieve tension and help you relax. The price of the massage was a bit steep at about $200. The availability was relatively open despite how crowded the resort was. I was told to come in one hour prior to the scheduled massage time to enjoy their “Hydrotherapy Gardens” and utilize the locker room facilities. Based on my experience, here is what you might encounter if you book a service at the Laniwai Spa. 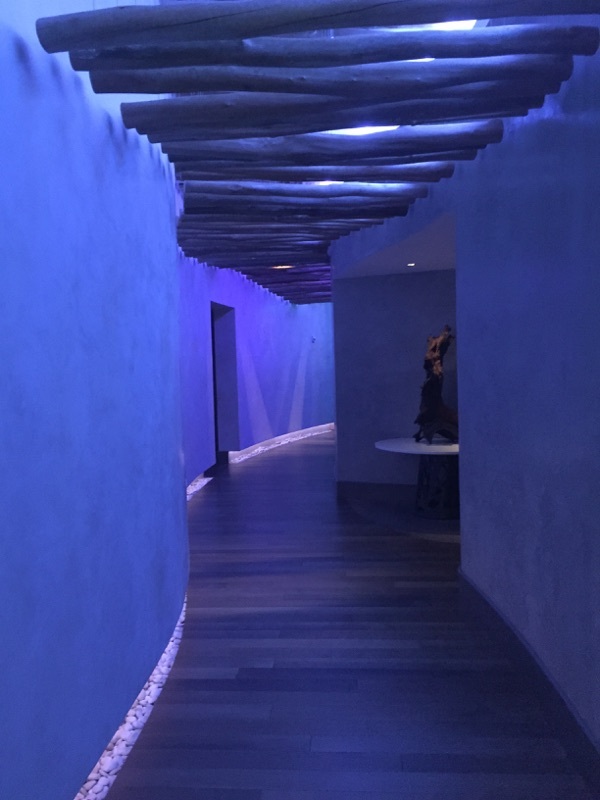 Before you even set foot in the spa area, you can smell one of the most relaxing aromas and you are greeted with tropical water and a pleasant smile. 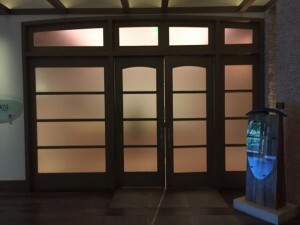 There are unique Hawaiian spa amenities available for purchase in the waiting area. After your name is called, you are then led down a hallway and asked to choose a rock or “wish stone” out of a basket. All of the rocks have different words on them representing the experience you are going to wish for during the visit. After you select your rock, you are encouraged to throw it into a small pool. You are given a tour of the locker room, sauna, and eucalyptus steam room (my wife loved this one for her allergies), followed by a tour of the Hydrotherapy Gardens outside. 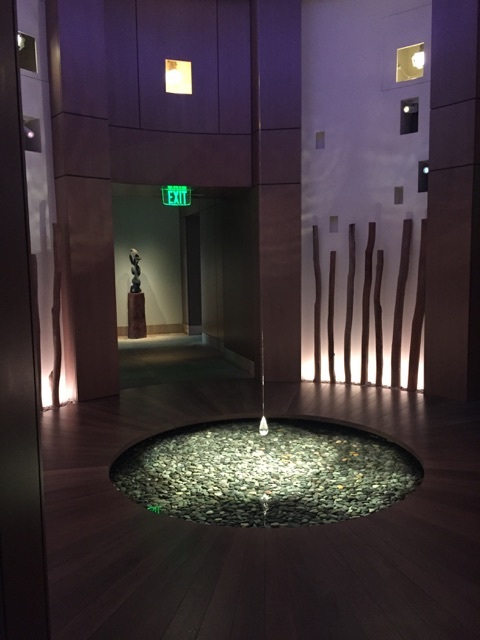 The Hydrotherapy Gardens are a unique co-ed experience that offers two large soaking pools, a reflexology pathway walk, whirlpool Jacuzzis, a cold plunge, and six different rain showers. 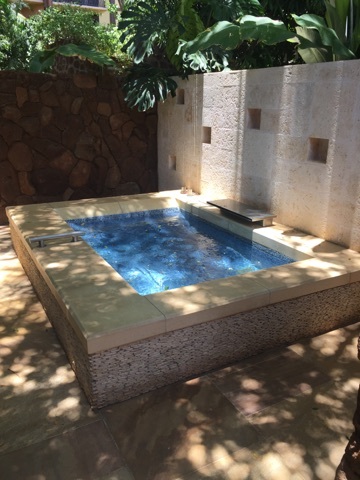 Prior to your treatment you will spend time relaxing in the gardens or utilizing the locker facilities, which are extremely luxurious. After your spa treatment is completed, you are allowed to enjoy the facilities for as long as you desire. You are also given a “gift” before you leave which is a small vial of exfoliation salt that they make for you at the Pulu bar. 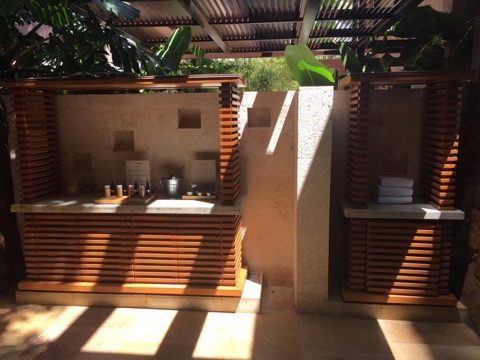 The Pulu bar is a spa mixology station that has several authentic Hawaiian herbs and fragrances that you can choose and mix together. You can then use it later as a body polish and for exfoliation. 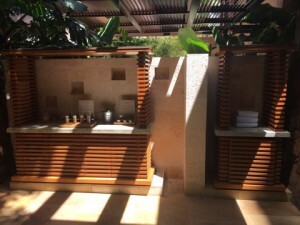 In my experience, my spa treatment itself, the Lomilomi massage, was one of the best massages I have ever received. Since I usually get massages every other month for my back I know what to expect from a massage experience, and Laniwai did not disappoint. The therapist was extremely professional and polite. She customized my massage to the locations and pressure that I requested, and I was very impressed. They even customized the experience by allowing me to select the music/sound effects that would help me relax the most during my massage. The entire experience was very memorable and relaxing. It will make you wish you had the spa and facilities in your own home so you could experience it everyday. There are only three things I would change about the Laniwai Spa. 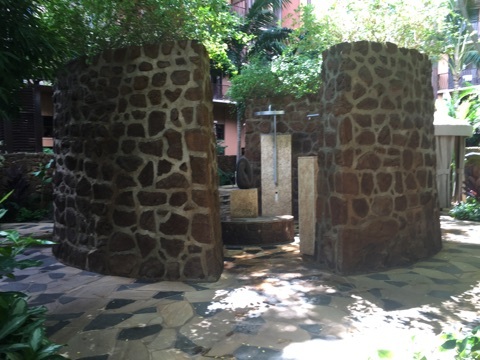 First of all, the privacy in the Hydrotherapy Gardens could be improved. The gardens are situated in a position that is very close to the towers, so there is a clear view into the gardens from all of the guest rooms overlooking them. 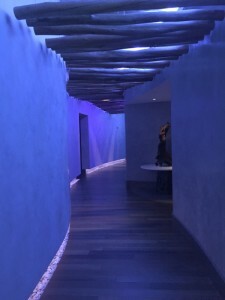 Anyone staying in those rooms would be able to clearly see in, so it is very hard to have privacy, which I feel is very important when going to any spa. Secondly, the grounds around the garden are very shaded so they do not get much sun and the area looks somewhat dirty with all the leaves and debris that fall from the trees. Finally, I did not understand the significance of the “wishing stone” and the “word of the day” when the rock was thrown into the rock pool. It did not add to my relaxation, and I felt it could have been left out. 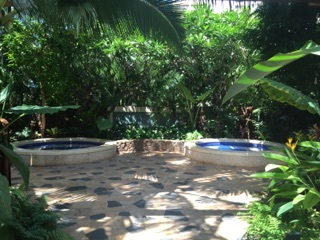 Overall, the Laniwai Spa was definitely one of the best spas I have visited. 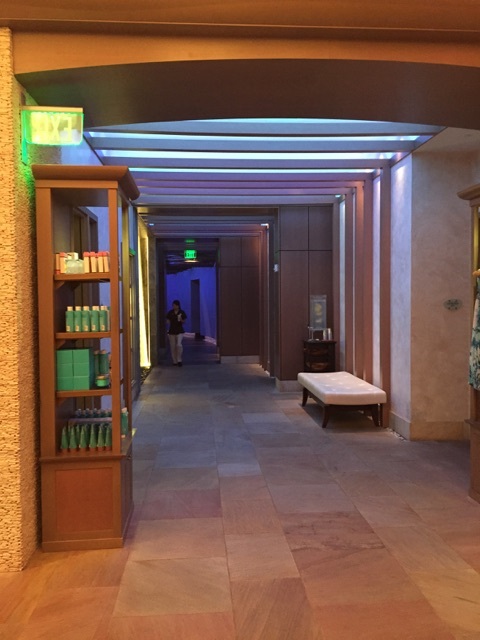 Disney goes above and beyond to ensure that your mind, body, and soul have the most relaxing and pampered experience possible. You will feel renewed and refreshed to your very core when you leave. 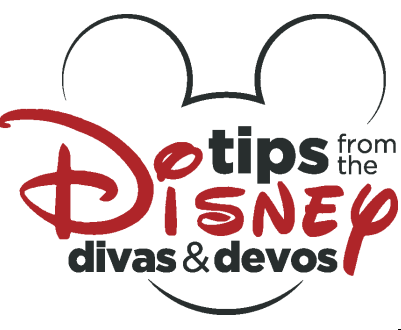 It is a memorable experience that should be done each and every time you stay at Disney’s Aulani Resort.